In today’s connected world, interoperability is the only option. 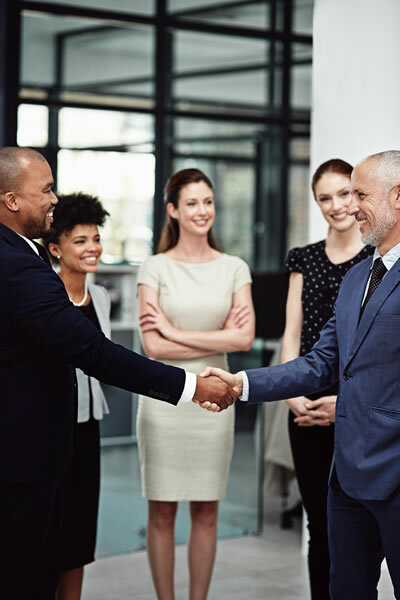 No single company can meet all of the needs of your organization, and to deliver outstanding care, you must be well connected with other providers. We strongly believe that an "open system" approach to interoperability benefits all parties, especially the people who receive care. Together with our partners, we enable relevant systems and devices to exchange data with the right timing and level of detail, to interpret that shared data, and to present that data so it can be easily understood and used by people and systems. We work closely with industry leaders – including providers of EMR and back-office system software, providers of point-of-care data collection software, payer management systems, carriers, and others. Typically, the integration between CellTrak’s solution and a partner’s is bi-directional and near real-time. CellTrak’s partner ecosystem is continually expanding. If you do not see a connection that your agency needs in the list below, of if you require an interface with a home-grown system, please contact us. Customer’s license to Vendor’s software includes Customer’s right to access Customer Data which resides in the licensed software for Customer’s business purposes. Customer also has the right to access Customer’s Data to retrieve, update, report on, and otherwise use Customer’s Data. Vendor will not prohibit, block or charge a fee for such access or use, nor will Vendor deploy any type of virus, software trap, or other malicious, disruption or corrupting program code or instructions within the licensed software that would purposely prevent Customer from accessing or using Customer Data. Vendor agrees to cooperate with Customer by providing any documentation for all interfaces and application programming interfaces and any technical support required by Customer to access and use its Customer Data.